Quiet, small community surrounded by the wonderful conveniences of nightlife, shopping and dining. 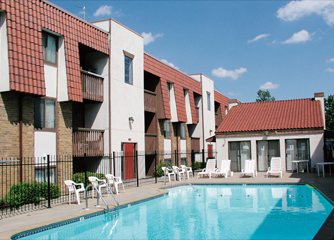 by the wonderful conveniences of nightlife, shopping and dining. Seeing is believing, feel free to stop by for a free tour of our community and see what Garden Pines Apartments has to offer you. 1 bedroom . . . . . . 560 sq. ft.
2 bedroom . . . . . . 650 sq. ft.